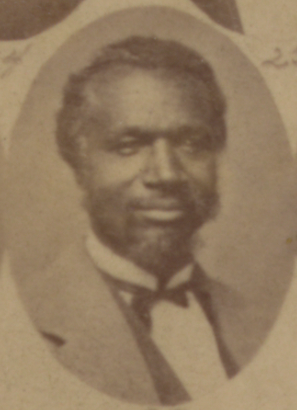 Born into slavery in Virginia. 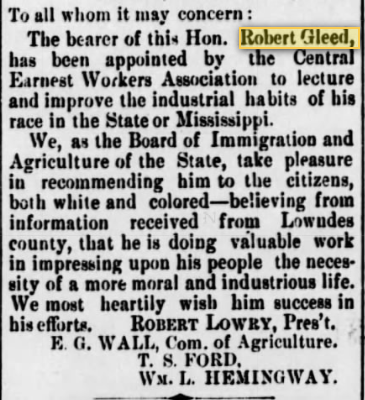 A prominent merchant in Columbus, MS. 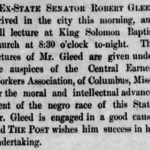 In 1872, there was an incident involving Gleed taking a seat on a segregated railroad car, and a crowd of white men forcibly removed him. 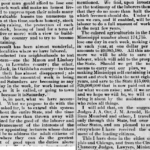 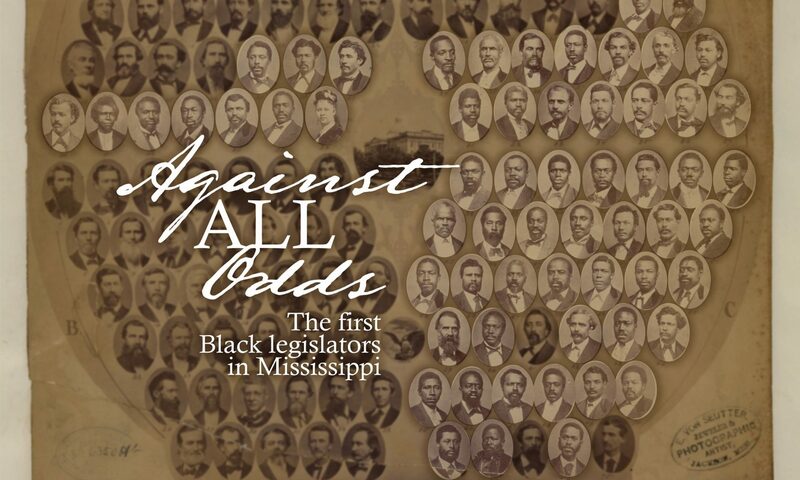 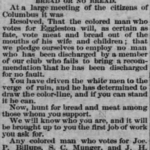 The Vicksburg Herald wrote, “The negroes as a mass do not seek nor want equality. 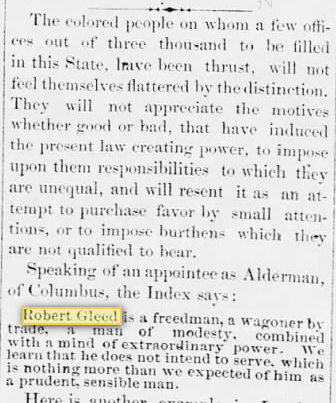 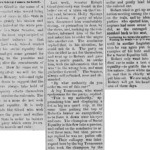 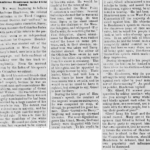 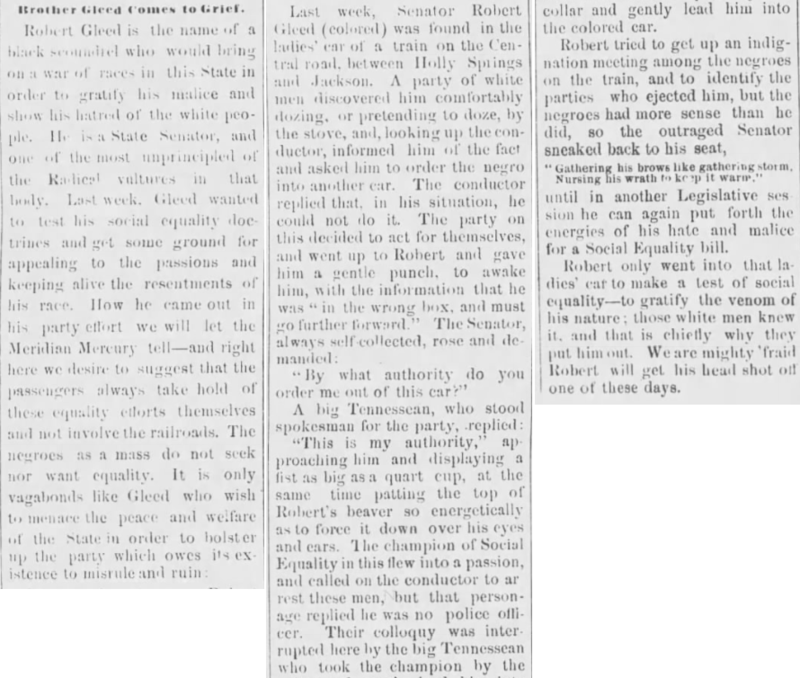 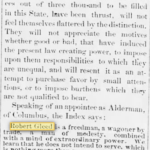 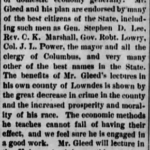 It is only vagabonds like Gleed who wish to menace the peace” (April 16, 1872). 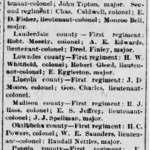 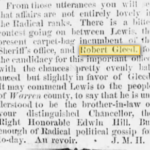 Gleed was appointed lieutenant colonel in the Lowndes County militia in 1873. 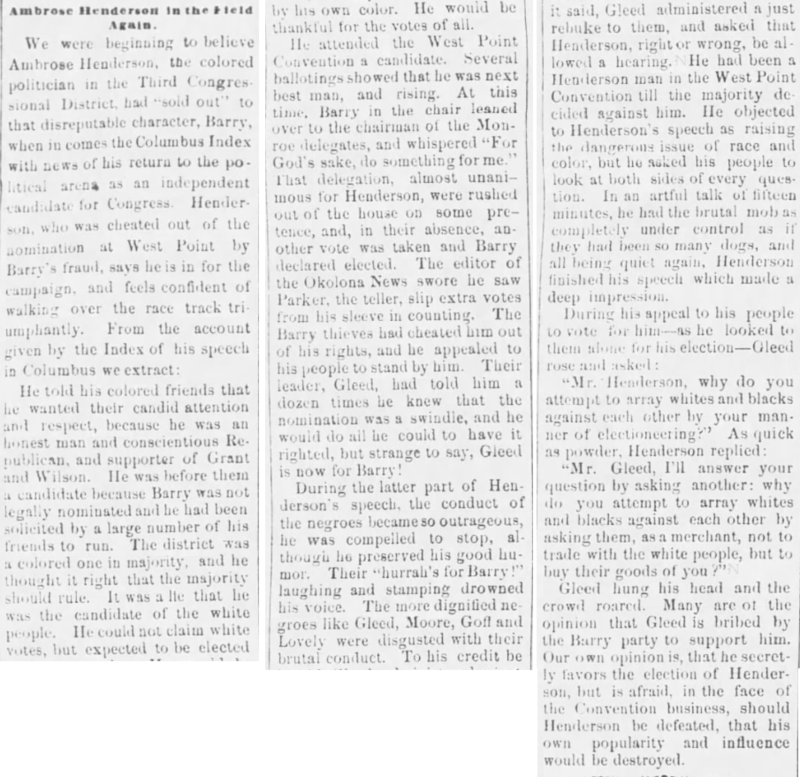 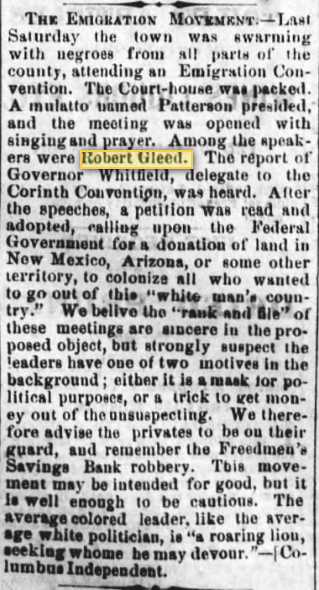 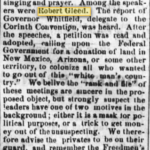 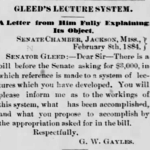 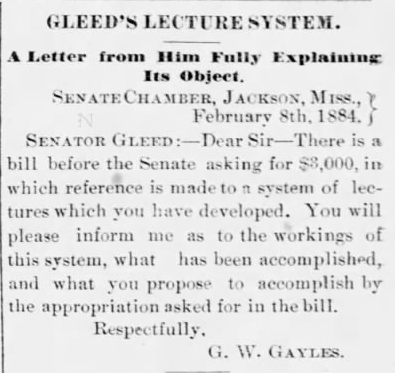 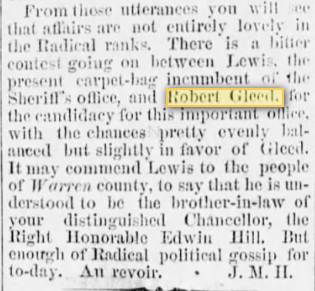 Following a violent incident during his run for sheriff in 1875, Gleed feared for his life and moved his family to Texas. 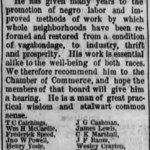 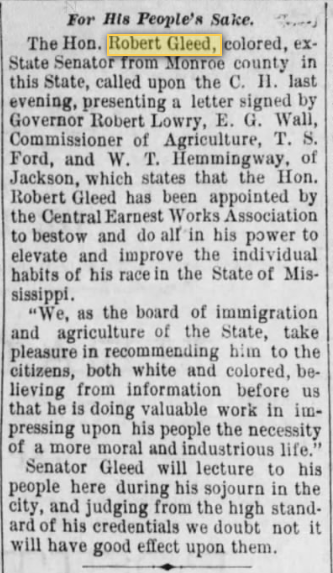 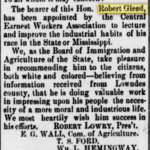 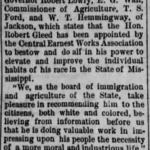 He returned to Mississippi for a brief time; in 1883, as a representative of the Central Earnest Workers Association, he began giving lectures around the state on economics, morality, and education. 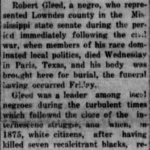 Gleed died in Texas survived by several children, including Anna Louise (1862-1938, a teacher), Virgil Cain (1866-1945), Robert Jr. (1869-1932), and Bruce (1880-1968). 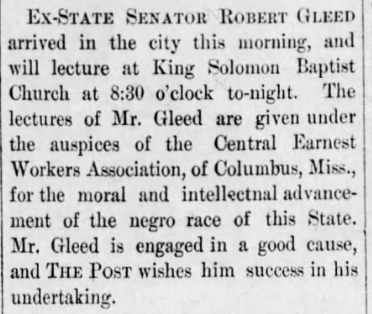 Gleed, his wife Susan, and some of their children are buried in historic Sandfield Cemetery in Columbus, MS. Gleed is one of the figures portrayed in the Mississippi School for Mathematics and Science’s annual Eighth of May Emancipation Celebration, held at Sandfield Cemetery, where high school students tell the stories of notable African Americans who lived in Columbus.